Tonight was the 28th Kids Choice Awards and Kids picked who they like. Some choices were good and some choices were excellent. The host for the evening was Nick Jonas and he was great. His jokes were not great he should a professional comedy writer, better yet. He got slimed. Real good. 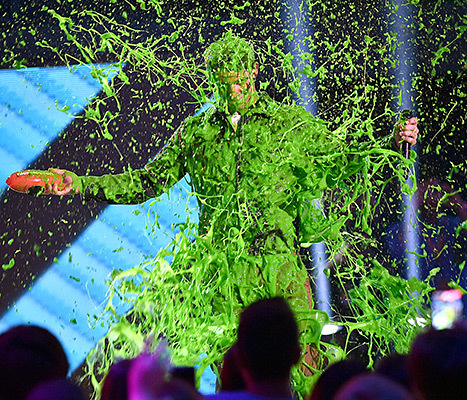 They should try different color slimed next time. Stars from TV, film, and music are set to make an appearance on the orange carpet, and to see who takes home the blimp statues and get slimed. The first award at the beginning of the hour was the favorite family TV show. 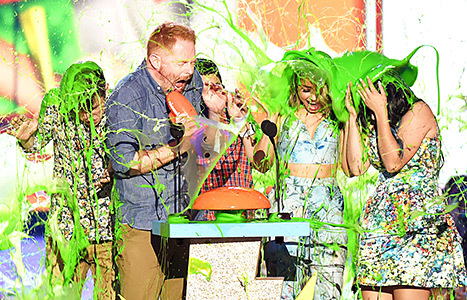 The winner was Modern Family and they got slimed. Yes! Some of them avoided being slimed, the producers were smart, don’t slimed good looking people. For the favorite reality show, the teens picked Dance Mom? Abby Lee Miller and Abby Lee Dance Company? Why the teens picked her? Abby Lee Miller humiliates and embarrassed the parents and their children, that’s not teaching. It’s torture. Still the children become better dancers. I rather have Simon Cowel to host a dance show. At least Simon has a heart and he helps. They should have slimed her, then I would be happy. Iggy Azalea and Jennifer Hudson performed ‘Trouble ‘ at the Kids Choice Awards. They looked happy performing together. 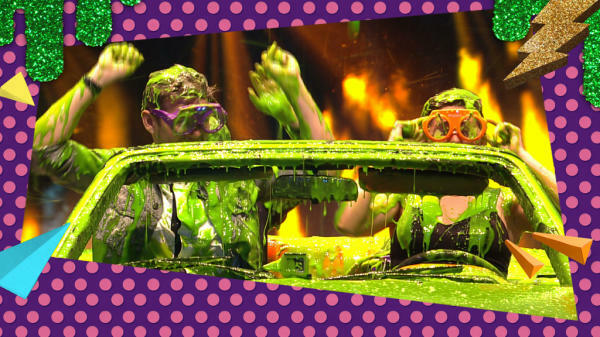 5 Seconds of Summer – Slimed! !